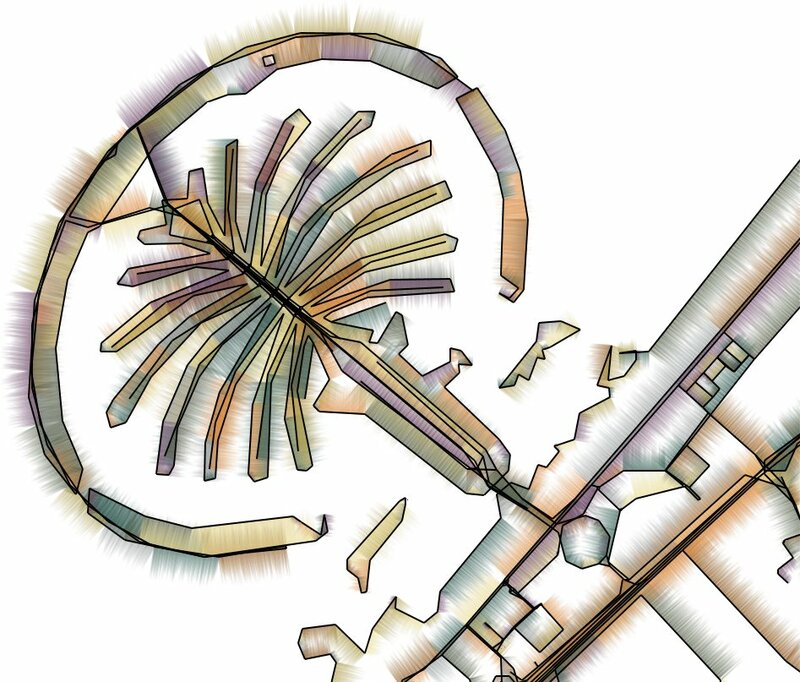 We explore visual map abstraction for the generation of stylized renderings of 2D map data. We employ techniques that are centered around the concept of shape simplification and graph layout and that allow iterative abstraction of 2D maps. 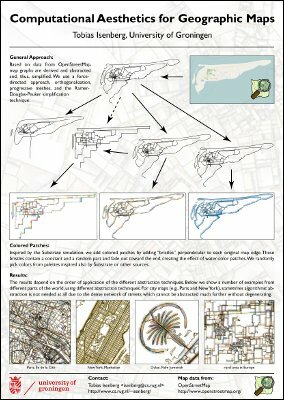 We use data from publicly available sources and show how we can iteratively generate aesthetic renditions of these maps. These renditions do not have the goal to allow for navigation tasks but instead show the map data in a distorted manner. The techniques used to create these images apply simplification, abstraction/generalization, and displacement operations to the map elements in varying orders and add stylistic shading to produce aesthetic renditions for print or electronic displays. 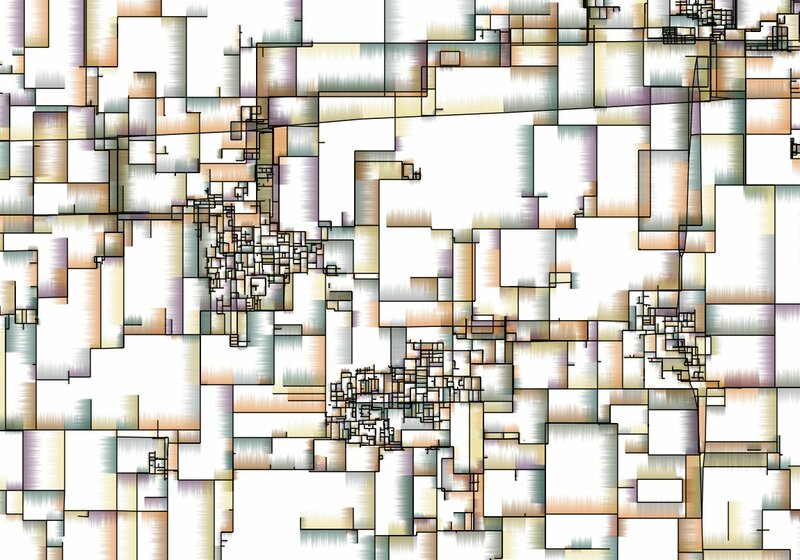 The degree of abstraction/generalization can be individually chosen and determines the characteristics of the distorted map: whether components retain their shape, degenerate, or are processed in a manner that the abstraction becomes the focus of the image rather than the underlying map data. The renditions can be further personalized by choosing shading and colors for this shading. 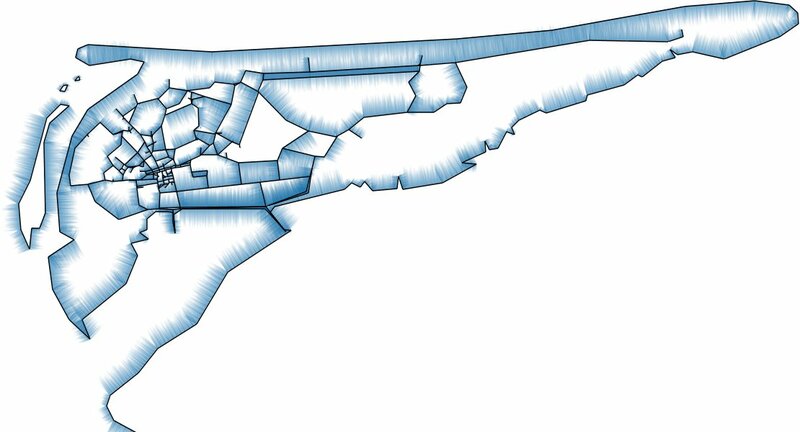 Together, the presented techniques allow for playful and creative exploration of aesthetic renditions of 2D map data. An on-line demo of the described map stylization using Java Web Start can be found at http://osmabstraction.isenberg.cc/. You can also download an off-line Java demo (5.6 MB). This article served as a visual inspiration for the Bristle Maps geo-visualization technique. The visual inspiration for both comes from the Substrate simulation. The article cites “Henry Beck Rules, not OK? Breaking the Rules of Diagrammatic Map Design,” an unpublished article by Maxwell J. Roberts. In the meantime, this essay has been expanded into the book “Underground Maps Unravelled: Explorations in Information Design,” so more details can be found there. 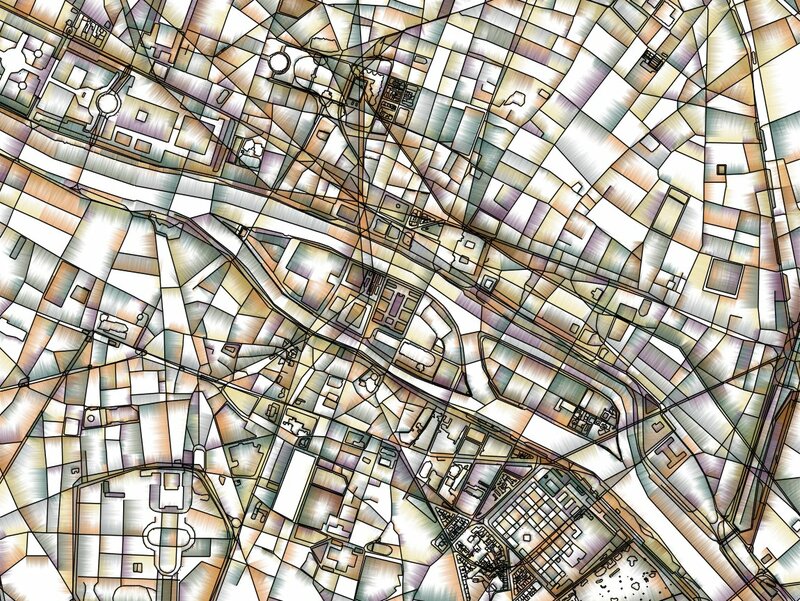 Also look at the stylized maps on http://maps.stamen.com/ such as a watercolor version and a toner version. Another interesting stylization techniques for maps is Typographic Maps by the VADER lab. This work was done at and in collaboration with the Scientific Visualization and Computer Graphics Lab of the University of Groningen, the Netherlands, the AVIZ project group of INRIA, France, and the LIMSI lab at CNRS, France.